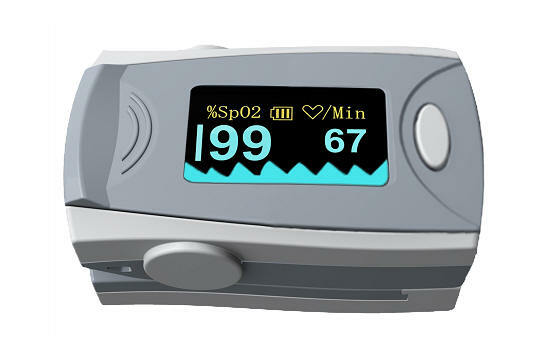 The fingertip pulse oximeter, based on all digital technology, is intended for noninvasive spot-check measurement of functional oxygen saturation of arterial hemoglobin(SpO2). Advanced DSP algorithm can reduce the influence of motion artifact and improve the measurement accuracy during low perfusion. Display Method: Color OLED display, 4 display directions. The fingertip Oximeter can be used to measure human Hemoglobin Saturation and heart rate through finger. The product is suitable for use in family, hospital (including clinical use in internist/surgery, Anesthesia, pediatrics, intensive care and etc.) Oxygen Bar, social medical organizations, physical care in sports and etc. Remember: The product is not suitable to monitor patient continuously. 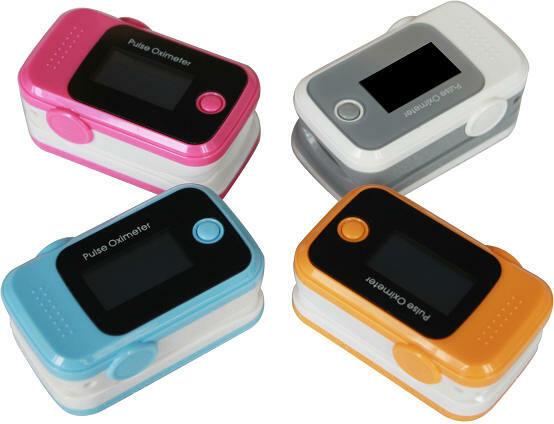 Do not spray, pour, or spill any liquid on the oximeter, its accessories, connectors, switches, or openings in the enclosure as this may damage the oximeter.